Emily Ivey is a junior business major with a concentration in marketing and human resource management. A Storm Lake native and a graduate of St. Mary’s, Ivey did not have to travel far to continue her volleyball career. Ivey is a right front hitter for the Beaver Women’s Volleyball team and has been a great asset to the volleyball team since her freshman year. She’s started her junior year off strong, playing in seven matches and 21 sets. On the year she has 14 kills and 7 digs and looks to continue to excel in her upcoming games and matches. Emily first recalls falling in love with volleyball when she was in elementary school. 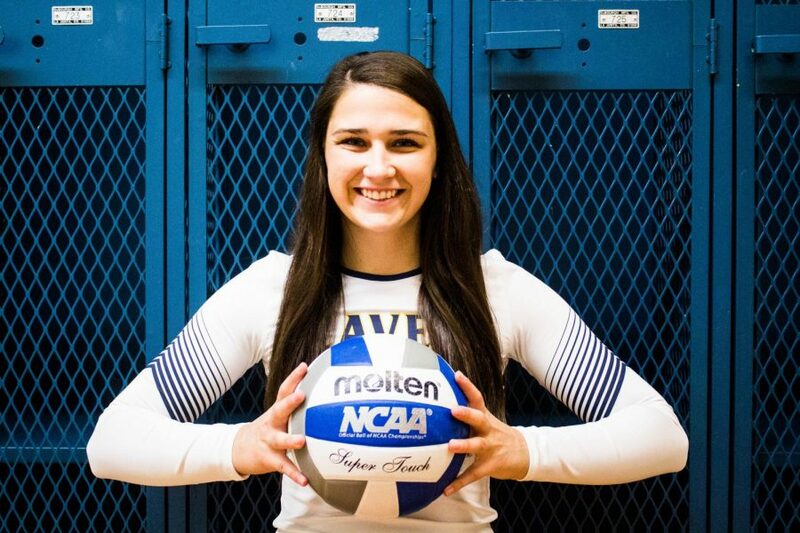 While Ivey stated that there are far too many volleyball related memories to choose from, she narrowed it down to her favorite thus far in her three years as a Beaver. When asked who her biggest influencer was, she did not hesitate to respond. Head coach for the Beavers, Aubrey Havlichek, reflects on how Ivey has been a great contributing member to the squad thus far this season. Catch the Beavers at their next home game against Simpson on Tuesday, Sept. 25, in the Siebens Fieldhouse. Good going Emily. Work hard gal. Allie, Good job on your article on Emily. KEEP going girl.